ESN’s Capability & Career Exploration Programs offer an opportunity to develop the skills necessary to launch a career in the community. ESN’s Capability & Career Exploration Programs are divided into three innovative programs. Adults with physical and/or intellectual limitations and varying skill levels have the opportunity for skill and interest assessment in the Kickstart Program; to work onsite and earn a paycheck in the Talent Incubator Program; and to work in the community and earn a paycheck through ESN’s Launch Program. Our Job Development program provides assessments to help determine what jobs would be the best fit for our clients. We also provide assistance with creating resumes and completing job applications. We are also there during the interview and new hire process. The first step for new clients is to enroll in ESN’s Kickstart Program which involves a thorough assessment of skills and interests. Clients who graduate from ESN’s Kickstart Program are offered an on-site job through the Talent Incubator Program. On-site jobs include assembly work ranging from convention bag insert compilation and cutlery inserts to disassembly of motorized shopping cards, testing, cleaning and repacking for resale, custodial work, grounds maintenance, general warehouse tasks, kitchen help, including busser services, snack bar stocking and exposure to cashiering to prepare them for community-based jobs. Clients in ESN’s Talent Incubator Program earn a paycheck. 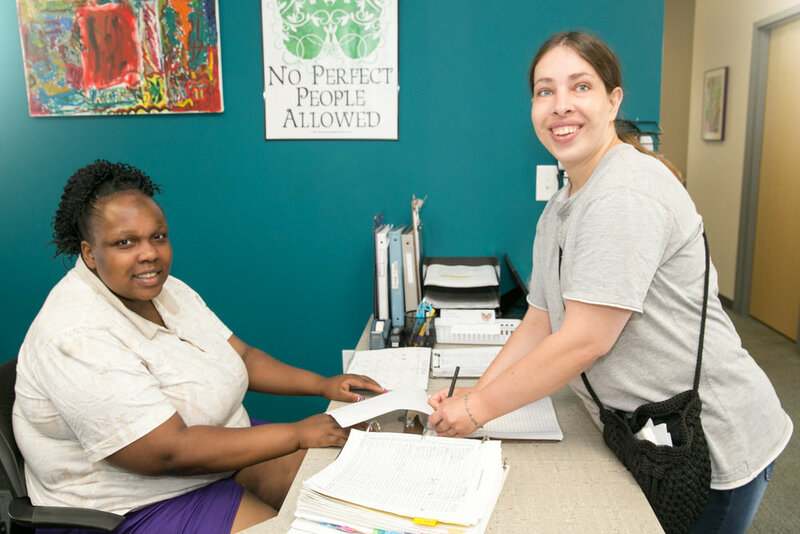 ESN’s exciting Launch Program offers clients the opportunity to work in the community while remaining fully supported by a supervisor who travels with the clients to the worksite. Community worksite partners include (insert here). Clients in ESN’s Launch Program earn a paycheck. The Capability & Career Enhancement Programs are proud to provide opportunities to attend community outings, socialize with peers and perform volunteer work. Community Locations throughout the Las Vegas Valley.